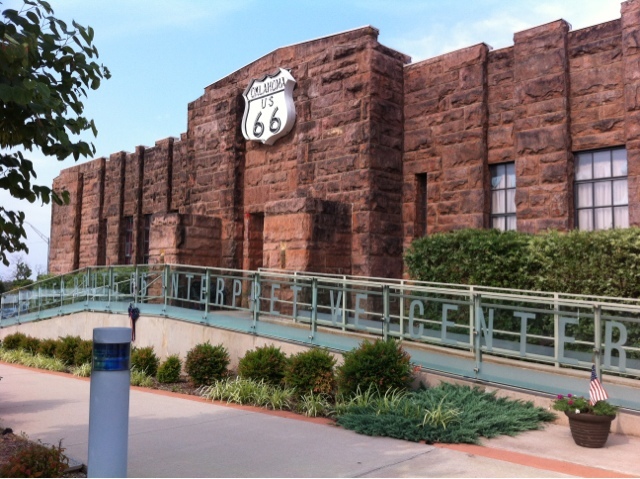 Drove to Chandler yesterday for a photo shoot at the Route 66 Interpretive Center in the beautifully restored WPA armory. 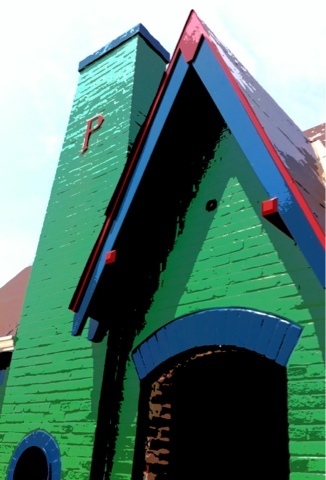 Also shot the 1930 Phillips 66 station on Highway 18, being restored to original bright colors. 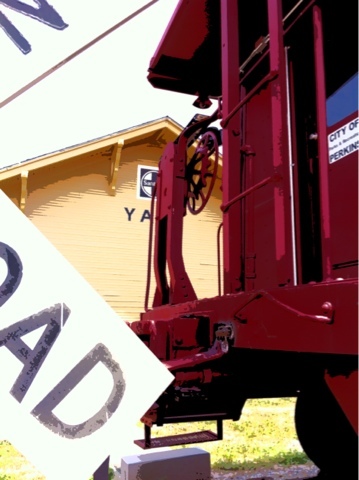 Then to Perkins to locate the WPA outhouse at the Frank Eaton (Pistol Pete) house and found some interesting railroad history objects.